Safety is crucial for drivers, particularly when they are facing difficult weather or dark roads. Navigation is another important aspect because getting the right directions to make it to your destination without hassle will save you time. HUDWAY is a practical app that combines safety, GPS navigation and head-up display. The latter is what makes HUDWAY stand apart from other navigation solutions and it turns it into a unique solution to improve driver’s safety when dealing with rain, snow or darkness. 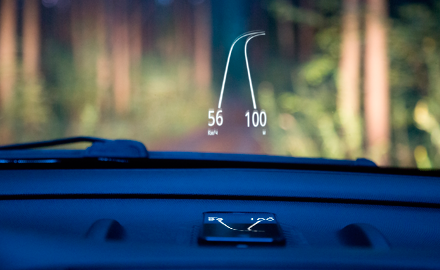 A head-up display is usually something that you would only see in luxury cars or jet planes, but thanks to this app created by Ivan Klabukov and Aleksey Ostanin, you can get this feature in any car. By simply placing your phone on your car’s darshboard, you will instantly get a HUD as the road is outlined and projected onto the windshield. This will ensure that you can concentrate on driving and be safer, even at night or when you are dealing with other low visibility conditions. HUDWAY is focused on tackling driver safety issues by allowing you to anticipate any turn that you need to take. The app relies on Apple, Google or OSM maps and while an internet connection is needed to establish the route, once it is saved, it will be available offline and you can follow the road to your destination at all times. Once a route has been laid out, you will need to select Head-up Display mode to ensure that the directions are displayed on the windshield in the correct way. Then you will need to place your phone on the dashboard, preferably using a pad mat to prevent it from sliding. The data from HUDWAY will be reflected on the windshield, creating an innovative HUD. Since the app notifies you about upcoming turns and distances, you can anticipate what is ahead. If there are any dangerous turns, they will be displayed in red and HUDWAY also lets you know your speed, distances and the curve of the road. With this app, you can be prepared and take the necessary cautions while driving. The app provides a simple and ingenious solution for road navigation and it also features professional voice assistance. The GPS track record allows you to monitor your way and use it at a later stage for navigation of needed. You can customize the road visualization, calculate your speed and share routes with fiends and family on Facebook, Twitter and other social media networks. One thing that is important to keep in mind is that the app is specifically designed for poor visibility conditions, meaning that it is ideal for driving at night or during a cloudy, rainy day. However, it is not as effective in broad daylight or when the road if well-lit because it would be difficult to see the information displayed. With HUDWAY, Head-up Display technology is at your reach and you won’t need any additional equipment to get turn-by-turn directions and see the route projected on your windshield. The Professional Voice Assistant feature will serve as a co-pilot that will alert you about dangerous curves and guide you throughout the route. 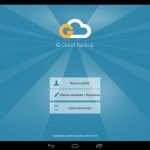 The app is available for Android and iOS and you can download it for free. If you want additional options or an ad-free version, you can opt for in-app purchases to upgrade.